Since men in Zimbabwe generally enjoy greater access to public space than women, the membership of GALZ has, in recent years, been largely dominated by men, in particular younger black Queens from the townships of Harare and neighbouring Chitungwiza. The mandate of the GALZ Gender Department is to encourage lesbian and bisexual women to join the association and to ensure that women are free to become actively involved at all levels within GALZ and be included and visible in positions of leadership.The Gender Department is also responsible for educating GALZ members and the broader NGO network and public about issues relating to gender and human sexuality.To this end, it has produced a number of important publications such as Other Side, a unique handbook about issues relating to lesbian and bisexual women’s health in Zimbabwe. In August 2002, when GALZ hired its first Programme Manager for Gender, Fadzai Muparutsa, the association had only 8 women members out of a total of nearly 400. Within 4 months, women’s membership increased dramatically to around 60 and, to this day, it continues to increase. The Gender Department organises an annual retreat where women are free to discuss issues away from the interference of men. The national women’s caucus takes place at the end of the annual Affinity Group Conference in March. As part of its business, the caucus selects suitable female candidates for nomination to the GALZ Executive Committee which is elected at the Annual General Meeting towards the end of March. In liaison with the Health Department, and through site visits, the Gender Department ensures that women and issues of gender are integrated into all Affinity Group programming and activities; and through its work with the Women’s Coalition (of which GALZ is a member) it ensures that lesbian and bisexual women’s issues are well integrated into national gender programmes and campaigns such as ‘Sixteen Days of Activism’. The Programme Manager for Gender plays an important role in representing LGBTI people in Zimbabwe at both regional and international levels. She represented Zimbabwe and Africa as a whole at several international meetings in support of the 2004 Brazilian Resolution which sought to include specific mention of sexual orientation as a ground for non-discrimination at the United National Human Rights Commission. On behalf of GALZ, she also flew to New York to accept the prestigious IGLHRC Felipa award which the association won in May 2005 for its significant contribution to the struggle for LGBTI emancipation on the African continent. The visibility of black African lesbians in international forums is particularly important since African leaders frequently claim that lesbians do not exist in African cultures. 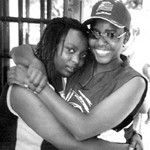 To dispel this myth the GALZ Gender Programme played an important role in 2003 and 2004 in the setting up and launching of the Coalition of African Lesbians (CAL), a body which, amongst other activities, seeks to address the problem of lesbian and bisexual women’s invisibility on the African continent. The department also develops activities for younger LGBTI people through its Youth, Sport and Culture Programme.